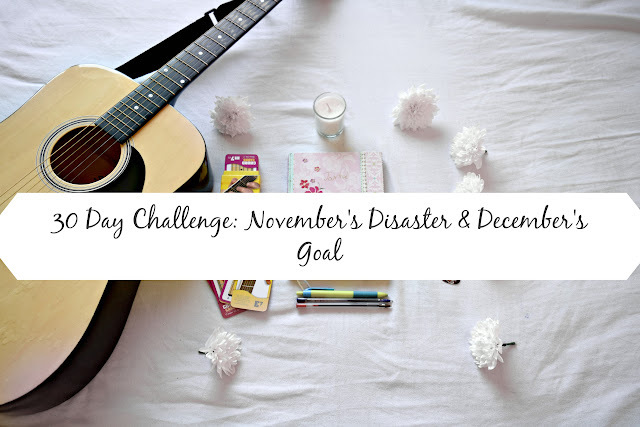 My November Challenge Was a MASSIVE Fail so What's In Store For December? | Albatroz & Co.
My November Challenge Was a MASSIVE Fail so What's In Store For December? Firstly I'd like to apologise for the lateness in this post, my computer was being a poo and wouldn't work so I couldn't get it out till now. Apologies aside, it's time to move on to the actual post. For the month of November I set myself the challenge to learn at least one song a week on the guitar and piano. This was after my October Challenge where I was to read at least 3 books and learn a song a week on the guitar and piano. I completed the book part of the challenge but struggled with the musical side. You can check out the full story of the challenge here, the books I read and also what I though of them. Not wanting to just give up, I decided to push the musical part of the Challenge into the limelight for November inn hopes that by focusing on that alone I would be able to complete it. So how many songs did I learn on the guitar? None, zero, nil. And the same applies to the piano. And I know 'I was busy' is such a lame half-arsed excuse but really, I was busy! I did pick up the guitar and have a couple minutes here and there, played old songs I knew and just tried to enjoy the fact that even though I wasn't learning anything new, I was still playing. The same cannot be same for the piano though. But being the stubborn mule I am, I refuse to give up. Don't worry, I will not be pushing it ahead as my December challenge, I'm not that bad. I recently took up the challenge to write a song ( something else I haven't been doing too well at keeping up) as a Christmas present and I'm going to use it as a chance to push myself to play and write more. Actually I'm thinking of doing a couple of songs actually, short stuff, nothing too fancy or anything. Who knows, I may even write an album, pfft..imagine. So I'm guessing at this stage you're probably wondering what the heck I'm planning on doing for December then if it's not to do with music and the answer is *drumroll* JOURNALING. I started journaling at the age of about 12 more or less like any other teenager out there because I wanted somewhere to keep all my angst, petty rage, crushes, ups and downs of friendships etc.. I burned most of my journals about two years ago in an all too dramatic flair with a lighter to the bottom edge of the pages and held in my hand until the flames began licking at my finger tips. Mad theatrical stuff. I've kept about two journals since then, currently on my second one now. Considering how long it's been, I should be in more than two notebook journals but I'm not. The reason for this is the fact that I only really write in my journal when I've let things boil up so much in my head that at 3am I can't sleep and I'm writing my 5th page back to front in my second hour. These overwhelming moments also spill over into the blog and I'm writing blog posts about past relationships, my fears etc. because I'm still looking for an outlet for all these emotions I let build up. So for the month of December I will set the challenge to write in my journal once a day. I was thinking of perhaps bringing my journal around with me but as I went to type this sentence I realized how silly an idea that would be. Imagine losing my bag and a stranger reading through my uncensored, un-proofread thoughts *shiver*. I'm really excited for this challenge because there are things, Feelings, thoughts I'd like to talk about that I can't bring myself to say out loud, whether it's because I feel it betrays the kind of person I want to be or like to think I am, see it as a weakness and then the times where it's hard to meet up with people because there doesn't seem to be enough hours in the day to get everything done. I want this challenge to further help me to stop over-analysing and over thinking everything. I look forward it and it'd be pretty cool if someone did it with me. 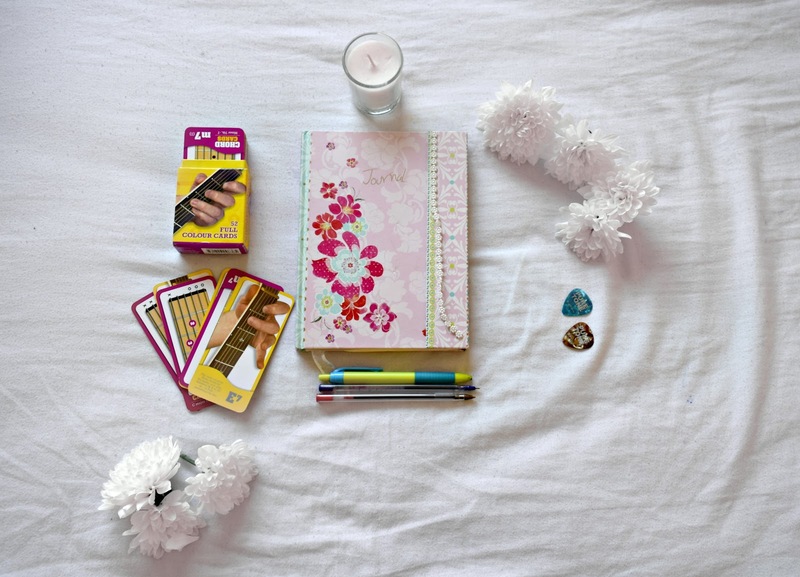 Are you big into journaling? I'd love to hear some of the things its helped you with and how you feel about it. November was definitely not my month for challenges but hey we live and we learn. 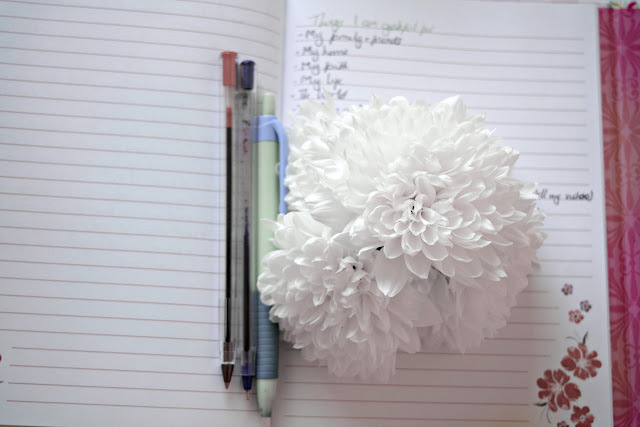 It is super hard trying to remember to write everyday and then getting up the energy to especially when I'm tired. I'll admit so far I've missed like two days but I'm going to try SUPER hard to keep it at that fro the rest of the month. I don't think there's a specific way to journal, I remember watching a Buzzfeed video ages ago where people tried Journaling for a month and there was a wealth of different things they all did. For example one just drew things and scribbled, I found it pretty cool. I guess it's all about how you choose to put down the things you want to remember. Hi found you through Irish Bloggers group on FB. Theres a book called The Artists Way it could help with motivating you to get your music going. 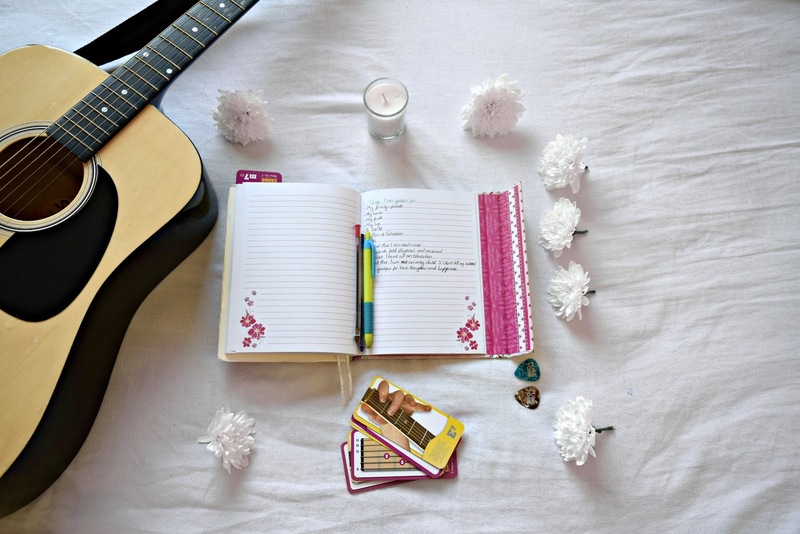 It encourages journaling as a way to open up your creative side. I found I'm no good at writing anything in that way daily and have found it to not suit me. But I have musician and artist friends who swear by the book and go back to it every few years if they find they're in a slump. Hi Leela, thank you so much for coming to my little space!! I'll definitely check out that book, it hopefully may also help me nudge out the rest of my writers block too!! I don't tend to look bac k on my Journal too muh because I find reliving things I don't know..too scary? It's not the right word but I can't think of a better one hahah Maybe I'll start with the good memories and go from there? Hi, I don't think it's a silly idea to bring your journal with you on the go! I myself have a mini journal that I keep in my bag all the time. It's fun to write in sometimes when I'm waiting for something, or just when drinking a coffee in a cafe. I understand what you mean by that you don't like strangers finding it. But my experience is that when I carry my journal with me, I am extra careful not to loos my bag. And if you write your address on the first page, strangers will often just send it back or contact you they found it. I hope December will be a better month for you! Are you looking forward to Christmas? I think I'm going to try and bring a mini journal around with me, I think it'll be really nice to be able to write in it when I'm waiting around like you said or in a cafe. I guess I'll just have to be extra careful where I leave my bag so hahahah That's a pretty sound idea with the address at the front too!